The Interactive Advertising Bureau has released a new guide for podcast advertisers. The publication marks the first-ever buyer’s guide from the IAB about podcast advertising. With podcast advertising a continually hot topic for the audio industry, this guide consolidates some of the key talking points about why this format has so much potential for advertisers. 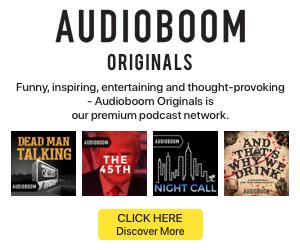 IAB cited podcasts’ reach and mobile nature as two top value propositions. It also highlighted how listeners are engaged, opting in to spend their time on favorite shows and likely to take an action based on the ads they hear in podcasts. The guide also covers some of the notable audience trends, depicting the average listener as young, educated, and financially well off. The audience also includes a large number of business influencers, with 30% working as executives or managers, and 49% holding jobs where they make business purchasing decisions. The research cited will largely be familiar to readers of RAIN News. But the guide is also intended to help first-timers, with a helpful glossary of podcast ad types and an explainer on how the spots are bought and measured. The list of best practices was penned by a working group of the IAB Audio Committee, including the group’s co-chairs Harry Clark of Market Enginuity and Lex Friedman of Midroll Media.